Pour 3 tablespoons of extra-virgin olive oil into a medium saucepan. Sauté the squash over medium-low heat until cooked through and tender. 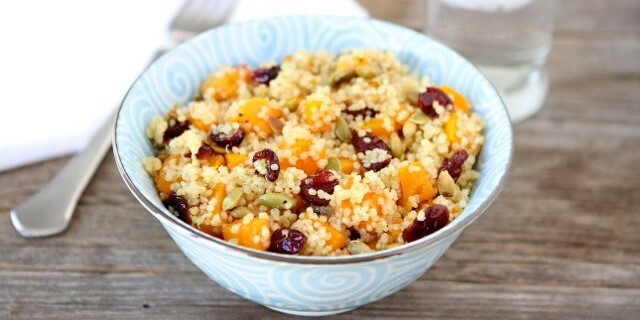 In a large bowl, mix the cooked squash, quinoa, cranberries, walnuts, basil, salt, pepper, and the remaining 2 tablespoons of extra virgin olive oil.